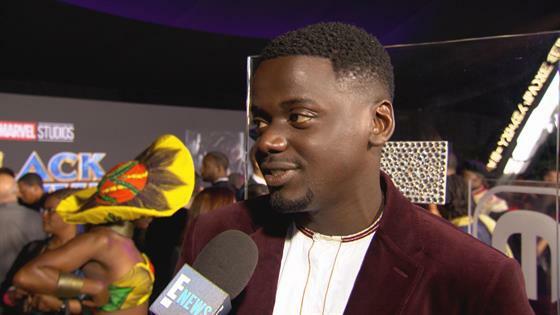 If you saw Daniel Kaluuya inside of the Oscars 2018, the last thing you would want to do is get out. In contrast to many of the talented gentlemen in attendance, the British actor, who is nominated for Best Actor for his role in Get Out, opted for a Brunello Cucinelli golden camel-toned jacket with black satin lapels. Standing in front of the Oscars backdrop, the Black Panther star looks a lot like the Academy Award statue personified—perhaps it's a sign? Paired with classic bow tie, pants and patent leather shoes from Tod's, his overall look is the menswear of the night in its classic, elegant and bold style. To match elegance of his ensemble, the actor stuns with a flawless complexion and a perfectly shaped beard. Thoughts on his look? Tell us below!